When I put this up as a beta-testing option a while ago, nobody opted for it so my hubby said that he would be happy to test it for me! I decided that since today is our first anniversary I would bake it for him and for our guests. Its delicious. Its moist. Its rich. It is recommended that it be eaten warm so I am very curious to see what it will taste like tomorrow! A fondant covered, triple layer, jam filled, chocolate cake! 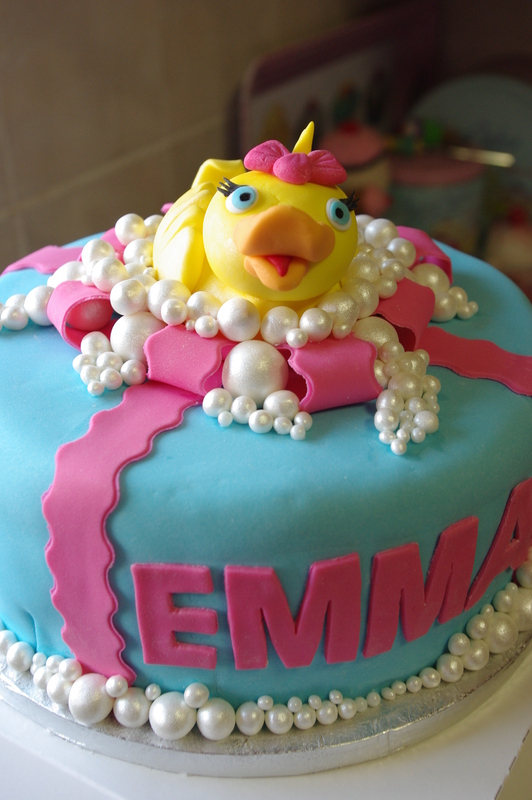 Its decorated with pink fondant ribbons, white pearlised fondant “bubbles” and a fondant duckie! The duckie, the ribbons, and each “bubble” was loving rolled and pearlised by moi, and each one was glued on place one at a time! The chocolate and vanilla cupcakes were decorated to echo the cake and the invitation to the birthday party! 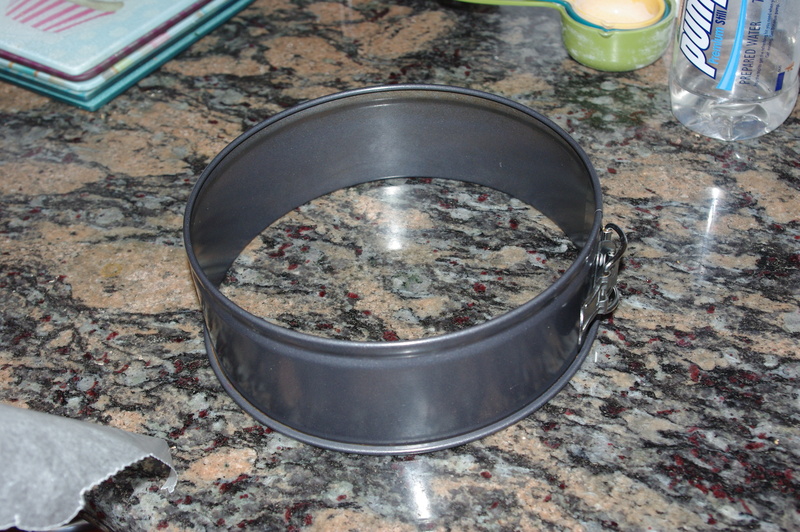 My hubby was very impressed with me the other day when he was watching me prepare a springform pan for a cake. I don’t remember where I learned this but for many years now, this is how I have been lining a round baking pan. You can now pour in the batter you want to bake into a cake and bake as you usually would. 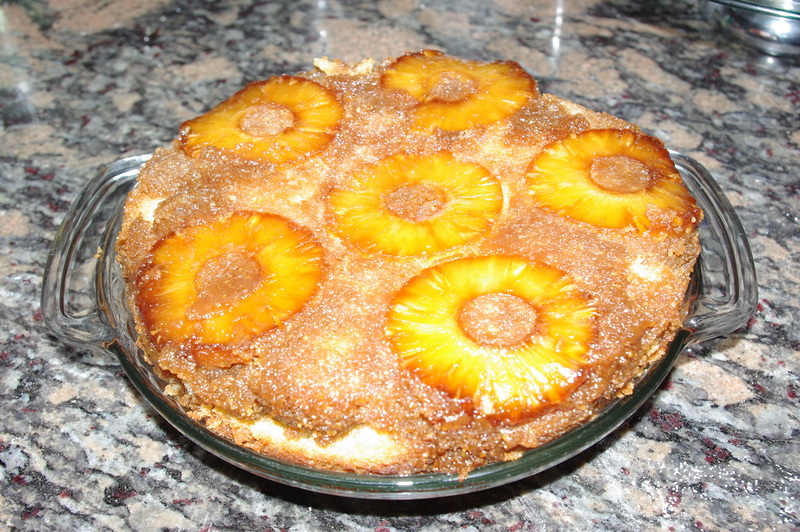 When your cake is baked, let it cool for a few minutes inside your baking pan before you turn it out. 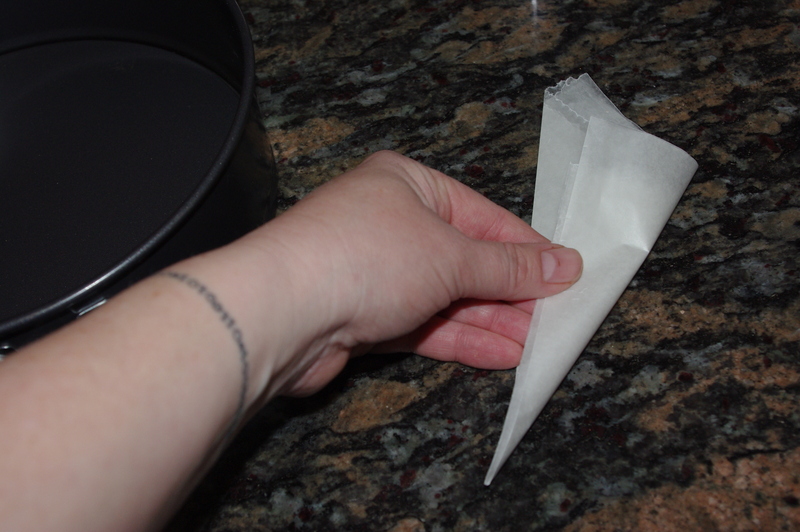 Pull the wax paper off the cake very gently so as not to pull the cake apart. You shouldn’t battle to do so and you will be left with a remarkably easy to clean- and longer lasting- baking pan, and one that you can use again almost immediately should you need to do so! Emma’s mommy ordered this rainbow cake for her birthday party! She’s having a Disney princesses themed party, but Bern wanted to surprise Emma’s party guests with what this colourful party cake looks like inside, so instead of a Disney themed cake, its covered in white vanilla butter icing! The seven layers inside- red, orange, yellow, green, blue, indigo and violet- are sandwiched with strawberry jam which beautifully balances the sweetness of the cake and icing. This “miniature” square cake is made of the tops that were cut off the big cake’s layers in order to make it flat. This set of beta test recipes are all inspired by pins I have on my Pinterest “I Love Baking” board! I love Pinterest, and there’s so much there that I want to try! How the “beta testing” works is that I try something new, and you tell me what you think! If you want to try one of these recipes, there’s a small price to cover the cost of the ingredients. These cupcake and cookie experiments will cost you R70 each. Cake and cheesecake experiments will cost you R100 each. Only one “batch” of each recipe is available, so its first-come-first-served. Your order will have to be collected from me in Midrand. Biscuits can wait for collection, but cakes and cupcakes and such need to be collected the day they are baked, or a day later at most. All you have to do is leave a comment on this post and tell me which one you would like to try, I will then email you further details. So here’s the list of recipes I am going to be attempting. Oreo Cookies and Cream No-Bake cheesecake x1 This is now Louisa’s! Chocolate Peanut Butter Surprise cookies x12 These are now Gina’s! Strawberry Chocolate cookies x12 Cara wants these. Snickers Caramel Cheesecake cookies x12 These are Anneke’s! Gluten-free Shirley Temple cupcakes x12 Nadia wants to try these! Nutella cupcakes x12 These are also Gina’s! Peanut Butter with Peanut Butter Frosting and Jam cupcakes x12 These are Anneke’s too!